If you have tried to buy a home but have discovered that the lack of a substantial credit history is preventing you from being approved for a home loan you are not alone. This situation is very common for 1st time home buyers, especially younger people in their early 20’s. The only solution to this problem is to develop a good credit history but obtaining credit when you have none (or very little) can be quite difficult. Although it may take some time there are things that you can do to establish a good credit history that will allow you to qualify for your 1st home loan. Here is some good advice for 1st time home buyers that find themselves in this situation. Your first step is to determine what (if any) credit history you do have. If you’ve never had a credit card or loan in your name but have at least paid rent there is a slight chance that your landlord may have reported to Experian, one of the three major credit bureaus. The other 2 agencies that you should be aware of are Equifax and TransUnion. Federal law states that you are entitled to 1 free credit report every year so this is a good place to start. Be aware that this free report doesn’t always include your actual credit score and you may be charged $10 for that particular info but the free report will still show your credit history. Next you will need to obtain some type of credit so that you will have the opportunity to build your credit history. Traditional loans and credit cards may be difficult to be approved for without a substantial credit history but there are ways to establish credit. Many retail establishments, gas station chains, furniture stores and even certain car dealerships may be willing to extend credit to new or 1st time applicants. Many banks offer secured credit cards for those who need to establish credit and as a last result you could ask someone to cosign a small loan for you to get started although this is usually the last alternative that most people want to try. It’s imperative that you use your new credit account(s) in order to establish your credit history. Obtaining credit is not enough; you must use it wisely and pay on time to develop a good credit rating. The best way to do this is to make small purchases and pay the full balance at the end of each month to show future lenders that you are very good at managing your debt and you never charge more than you can afford to pay. NEVER exceed your credit limit; this is financial suicide when it comes to improving your credit rating. It also helps if you can have 2 or 3 different credit accounts that you manage correctly from the beginning when trying to establish a good credit history. Here are the things that you DON’T want to do. Don’t apply for credit at too many different places at the same time. This can give the impression that you’re desperate and that will not help you to obtain new credit. Don’t max out your new lines of credit. The more unused credit you have on a new account the better, that’s why it’s best to start small and pay the balance in full every month. Finally, NEVER close an existing source of credit; this will defeat the entire purpose of having obtained it in the first place. Why would a creditor go through the trouble of extending you credit if you’re not going to use it? Now that you have finally established a few lines of credit it’s important that you monitor them for any signs of fraud. 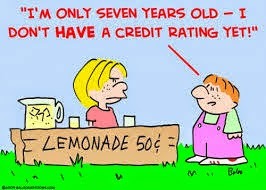 This can happen and it could ruin your ability to build a good history of credit to help you obtain your 1st home loan. There are many services available at a nominal fee to help you keep an eye on your credit accounts. Many of them also offer protection against identity theft and other useful services. For your information, not all forms of credit actually report to one of the three major credit bureaus. While credit cards, car loans and mortgage providers do report regularly other services such as prepaid debit cards, utility companies and others do not so it is important to be sure that you choose wisely when attempting to establish a new credit history. Keep in mind that most landlords that do report to Experian usually report negative histories but rarely bother to report tenants with a good payment record.